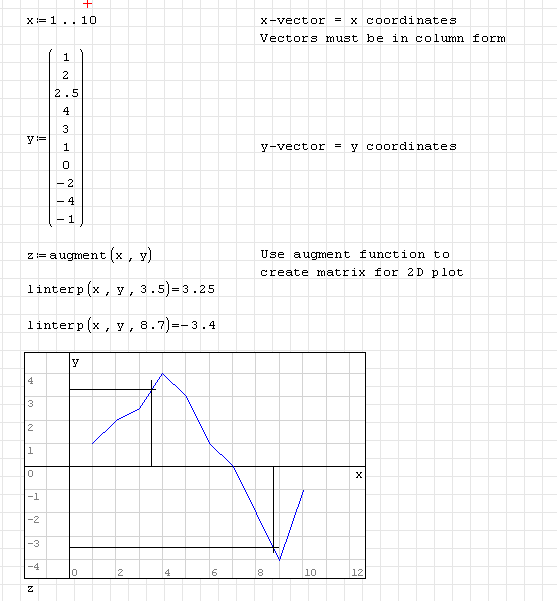 For this example, two vectors represent the x and y coordinates of a 2D plot. Calculate the y coordinate corresponding to the x value number. The x and y vectors must be of the same size.